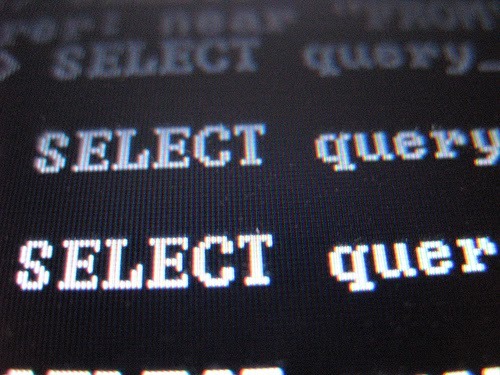 In this post we will hack a website and obtain its data using SQL injection attack. We will not use any tools. This is one of the few tuts on this blog for which you don’t need Kali Linux. You can easily carry it out from Windows machine on any normal browser. If you need to get a big picture of what a SQL injection attack actually does, take a look at this tutorial on Basics Of SQL Injection. The first step is obviously finding a vulnerable website. There are a lot of ways to do so. the most common method of searching is by using dorks. Dorks are an input query into a search engine (Google) which attempt to find websites with the given text provided in the dork itself. Basically it helps you to find websites with a specific code in their url which you know is a sign of vulnerability. Now basically what a dork does is uses Google’s “inurl” command to return websites which have a specific set of vulnerable words in url. For that, we need to know which words in the url make a website potentially vulnerable to a SQL injection attack. Many websites offer a comprehensive list of google dorks. For example, the l33tmir website has a list of hundreds of google dorks. However, creativity is your best tool when it comes to finding vulnerable sites, and after practicing with some google dorks, you will be able to create your own. A few dorks have been listed below. What you have to do is paste them into the google search bar and google will return potentially vulnerable sites. NOTE: Don’t mind the root@kali:~# behind the code. I have implemented this on all the code on my blog, and the majority of it is really on Kali Linux so it makes sense there but not here. What you have to notice here is the structure of the commands. The inurl instructs google to look at the URLs in it’s search index and provide us with the ones which have a specific line in them. Inside the inverted commas is the specific URL which we would expect to see in a vulnerable website. All the vulnerable sites will surely have a .php in their URL, since it is an indicator that this website uses SQL database here. After the question mark you will have a ?something= clause. What lies after the = will be our code that is known to cause malfunctioning of databases and carrying out of a Sql Injection attack. After you have used the dork, you have a list of potentially vulnerable sites. Most of them though, may not be vulnerable (i.e not the way you want them to be, they might still be having some vulnerabilities you don’t know about yet). The second step is finding the actually vulnerable sites from a list of possible ones. If you are lucky, then the site would be vulnerable. If it is, then there would a some kind of error showing up, which would have the words like “Not found”,”Table”,”Database”,”Row”,”Column”,”Sql”,”MysqL” or anything related to a database. In some cases, there would be no error, but there would be some berserk/ unexpected behavior on the page, like a few components not showing up properly, etc. But right now you only know that the site is vulnerable. You still have to find which colums/rows are vulnerable. Now we need to find the number of columns in the table. For this, we will use trial and error method, and keep executing statements incrementing the number of columns till we get an error message. In some cases you might need to put a – behind the 25. The page will now load properly, except for a number showing up somewhere. This is the vulnerable column. Note it down. Let’s say the page refreshes and displays a 2 on the page, thus 2 being the vulnerable column for us to inject into. Now we know which column is vulnerable. Next part is obtaining the SQL version, since the remaining tutorial will vary depending on which version of SQL is being used. Now we need to find the number of columns. 10 columns. Nothing so far. This does not return any error. As I said before, adding a minus sign (-) after = and before 1 will help. Comparing the pic with and without the error, we can easily say that the unexpected element in the malfunctioned page is the number 11. We can conclude that 11th column is the vulnerable one. These kind of deductions make hacking very interesting and remind you it’s more about logic and creativity than it’s about learning up useless code. Now we are finally where we left out before we changed our stream. We need to find the sql version. It can sometimes be very tricky. But lets hope its not in this case. Now get the code that told you about the vulnerable column and replace the vulnerable column (i.e. 11) with @@version. The url will look like this. The server is using Sql version 5.1.69, most probably MySQL (pretty common). Also we know the OS is Ubuntu. And the thing I said about it being tricky sometimes. Sometimes the server does not understand the @@version command directly and you need to convert it. You will need to replace @@version with convert(@@version using latin1) or unhex(hex(@@version)). Now the information gathering part is complete. We have to move to actual download of tables. Just write down all you know about their database, table and server. You must have a real sense of accomplishment if you have followed the tutorial so far. The boring part always requires maximum motivation and determination. Now the method to extract data is different depending on the version . Luckily its easier for version 5, and that’s what you’ll come across most of the time, as is the case this time. All the data regarding the structure of the table is present in the information schema. This is what we’re gonna look at first. The page didn’t display properly, this means that the our query was fine. The lack of any data is due to the fact that the table was actually empty. We have to work with some other table now. Don’t let this failure demotivate you. This table has a lot of data, and we have all the character_sets name. So finally now you have data from CHARACTER_SET_NAME column from CHARACTER_SETS table . In a similar manner you can go through other tables and columns. It will be definitely more interesting to look through a table whose name sounds like ‘USERS’ and the columns have name ‘USERNAME’ and ‘PASSWORD’. I would show you how to organize results in a slightly better way and display multiple columns at once. This query will return you the data from 4 columns, seperated by a colon (:) whose hex code is 0x3a. Finally you have successfully conducted an sql injection attack in the hardest possible way without using any tools at all. We will soon be discussing some tools which make the whole process a whole lot easier. However, it is pointless to use tools if you don’t know what they actually do.